What is “Thanks A Latte”? Support The Credit Union Movement! July is CULAC month in the world of Credit Unions, but what does that mean? CULAC stands for the Credit Union Legislative Action Council, they work to influence our leaders in Washington DC to protect the rights – and the very existence – of Credit Unions against the powerful lobbyists from banks. This year, we are encouraging our members to donate via “Thanks A Latte”, which asks you to donate $3 or more to CULAC. 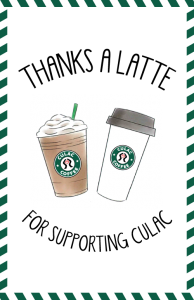 To make donating easy, we have “Thanks A Latte” boxes and envelopes in every branch of WaunaCU for that purpose. 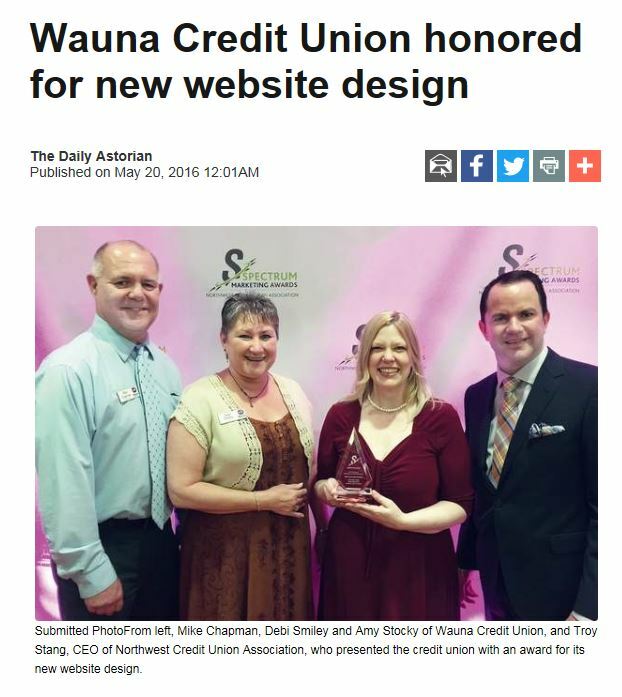 Wauna Credit Union strongly supports CULAC and their grassroots efforts to keep Credit Unions alive, thriving, and part of the fabric of America. Please support this organization if you can. CULAC accomplishes its mission by contributing to and supporting federal candidates and committees that support the Credit Union Movement. It is your continued involvement, support and dedication that provides us with the resources to elect credit union advocates to Congress. Tigard, OR. — Members of Oregon’s credit unions enjoy lower interest rates on their credit cards, car loans and mortgages. Because credit unions are not-for-profit cooperatives, there are no stockholders to pay. Instead, direct financial benefits are returned to members in the form of better interest rates on loans and savings products. In Oregon, 1.8 million consumers have discovered the credit union difference. This week’s news from the Federal Reserve of a modest interest rate increase is a reminder that the gift of membership in a local, not-for-profit, cooperative credit union makes sense. *Source: Informa Research Services, National Credit Union Administration (NCUA) and Credit Union National Association (CUNA). June, 2015. The Northwest Credit Union Association is the not-for-profit trade association representing over 160 of Oregon and Washington’s credit unions. Northwest credit unions returned $352 million in direct financial benefits to their 5.2 million members last year. The NWCUA is the voice of the Northwest credit union movement, providing legislative, regulatory and public advocacy in addition to education, compliance, networking support and business solutions to credit unions. For information on how to join a credit union, please visit http://www.asmarterchoice.org.